The Depot Casino & Restaurant facility currently exists in the original 1907 train depot which was built about the same time as Butch Cassidy and his gang came through the area for the last time. The community of Fallon was born during the California Gold Rush when exhausted travelers stopped along the Carson River after crossing the 40-Mile Desert, one of the deadliest stretches along the Emigrant Trail. This spot on the river was called "Ragtown" because of the clothes and blankets that were seen drying, hanging from wagons and trees. Present day Fallon is just six miles east of that early settlement. 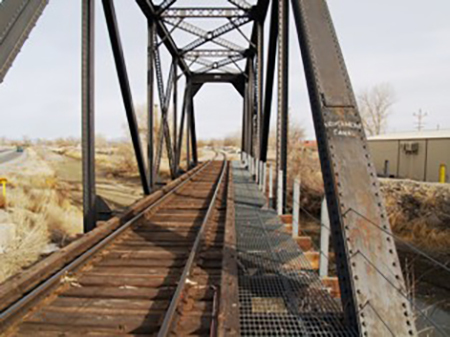 Interest in a rail connection between Fallon and the Southern Pacific line to the west finally surfaced in 1903, and local ranchers and businessmen commissioned a preliminary survey in April of that year. Promotional and planning meetings were held during the next year and $60,000 was pledged in May 1904. Southern Pacific officials were discussing an extension east from Hazen by that time and a group of Californians were promoting the construction of an electric interurban line. Southern Pacific superintendent John Shaughnessy sent out survey crews in February and March of 1905, but grading and construction were delayed for another year pending completion of the Hazen cutoff to the south. The Nevada Legislature granted a right of way over public lands under state control in 1905, as did officials of the U.S. Reclamation Service. 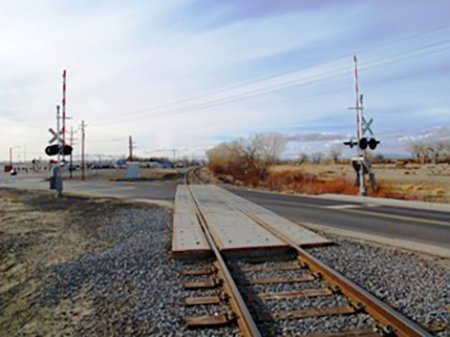 Much of the right of way was already under Southern Pacific control and State Sen. W.W. Williams of Fallon donated a 10-acre tract for a Fallon depot in June 1905. 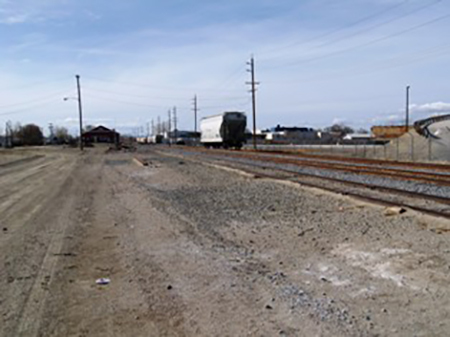 Construction began in August 1906 on the south side of the railroad tracks just east of North Taylor Street and the first train rolled into Fallon five months later, Jan. 10, 1907. There had been talk of celebrating "Railroad Day" upon completion of the line, but several dates came and went and the Hazen-Fallon line was never officially christened. 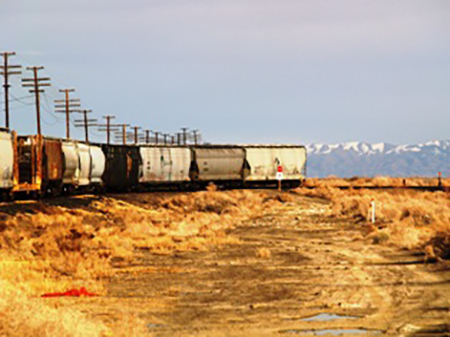 Passenger service began within a month and was coordinated with the Southern Pacific schedule from Hazen to Reno. There was talk of extending the line on east to mining operations at Sand Springs and to the camps of Fairview, Wonder and Rawhide, but the economics of such a proposition did not justify the expense and the line ended in Fallon. A gasoline motorcar service between Reno and Fallon was established in March 1911, but subsequent competition with buses and private automobiles forced a cutback to a single run a day from the Fallon Depot in September 1920. In May of 1924, with only one or two passengers a day taking the trip, the service ended. 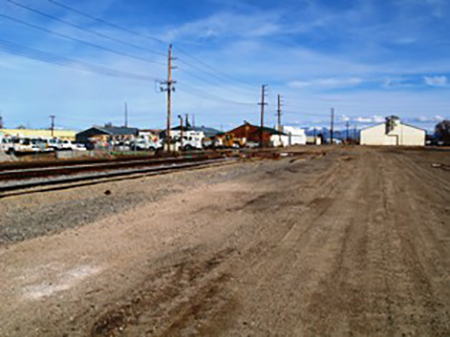 Besides serving as a railroad depot, it also served the merchants and farmers in the area. The depot finally closed its doors to the public as a train depot in 1960 and for the next twenty years went totally abandoned. Early in the 1980's an entrepreneur purchased the building and had it physically moved across town to Kaiser Street where it was to be remodeled into a bar and restaurant. A New Beginning We Mean It! On May 1st, 1987 the depot was once again seen moving, this time on East Williams Avenue to it's current location at 875 West Williams Avenue. Soon after it arrived at this location the current owners, Ralph Mills and his partner David Widmer gave it a beautiful addition to the main building and it was opened to the public as The Depot Casino & Restaurant. Since then the Depot has seen two additions to the south end of the building for expansion of the gaming operations the latest being completed in the month of December 2007. Created in a 1907 Fallon train depot, The Depot Casino is the place for dining, gambling, bingo or just to relax and have fun.